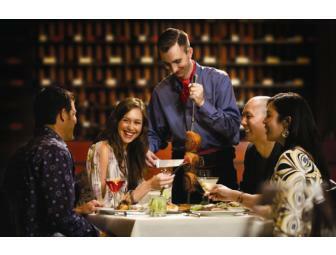 Enjoy this $250 Fogo de Chao Gift Certificate. Welcome to Fogo de Chão® (fo-go dèe shoun), an authentic Brazilian steakhouse. Savor 15 cuts of delectible meat carved at your table by authentic gaucho chefs. Sample a gourmet salad and sides bar you'll not soon forget. 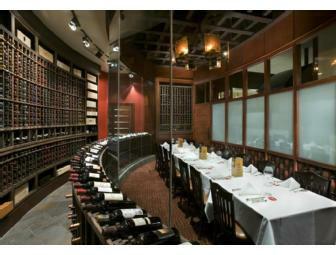 Select from a wine list that continues to win Wine Spectator's Award of Excellence year after year. Surrendor yourself to a culinary experience like no other. 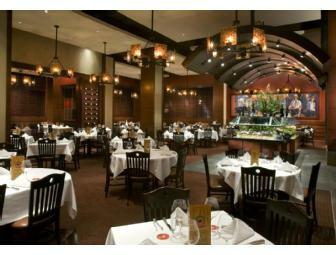 A complete list of locations can be found at http://www.fogodechao.com/locations. Not redeemable for cash. Following e-mail notification of a winning bid, this item will be available for pick up in Dallas, Texas, or for shipment to the address of your choice. If shipment of your item is required, shipping charges will apply and will be billed as a separate charge to your account unless the donor agrees to ship the item(s). MDA will make every attempt to combine shipment of items however, if items you purchased during this auction are located in multiple locations, you may incur additional shipping charges. Sales tax will apply and be charged to purchasers in California, Colorado, Florida, Georgia, Maryland, Michigan, Minnesota and Wisconsin. No refunds or exchanges. Certificates have no cash value. Your support matters, so MDA Dallas would like to use your information to keep in touch about things that may matter to you. If you choose to hear from MDA Dallas, we may contact you in the future about our ongoing efforts.